Are zirconia dental implants the answer? The vast majority of dental implants are titanium alloys that have been in use since the mid 1960s. The focus is whether the actual implant screw is made of zirconia or titanium. Zirconia dental implants are attractive for those that may be concerned about a metal allergy. In this blog post I describe the pros and cons of zirconia dental implants. As of the year 2015, I would not recommend them… The scientific evidence and clinical practice does not support their claims. The one piece design in itself is a very limiting factor. The implant cannot be redirected by an abutment…. Right or wrong, position cannot be changed. In my dental office in Burbank, California, I commonly use zirconia as the crown or bridge portion. It is also very useful as an abutment which is the intermediary piece on a two-piece dental implant. Both the crown/bridge and abutment portion are not embedded into the bone. Zirconia bridges such as the Prettau dental implant bridge is extremely strong as long as it is made very thick. In this post I also discussed what happens when orthopedic surgeons use zirconia as a hip replacement material.... You will be shocked to hear the results!! Your comments and questions are welcome as usual. Hi I’m 49 years old and have had a back and neck injury for 14 years. The medication I have been on has destroyed my teeth from the inside out. I have lost seven or eight teeth from the medication, mostly pain meds. I have cracked a tooth diagonally in half with no pain even with roots and the interior visible. Only occasionally have I had tooth pain or nerve pain from a broken tooth. It usually only lasts a day or two. I’m going to be having more back surgery and was wondering if I can go to get MRI scans with implants and what types? It’s getting so bad my wife doesn’t like going out with friends warring groups with me unless it’s a darker setting. I need help with this problem which is wrecking my life. And it is a workman’s comp issue which they have been paying all my other Medical bill since day one without much issue at all. Is it common to sea tooth decay or fracturing Etc with the use of pain medications and other neurological medications? You last wrote this in 2015. Do you still feel the same way about zirconia implants in 2018? There are now two piece zirconia screw in implants made by zeramax and such brands as strauman now have zirconia one piece implants. I need to replace a #7 tooth and I found out that I am sensitive to vanadium. Is there a titanium implant and abutment that does not have vanadium in it and wouldn’t titanium show a grey line under the gums? Bring a front tooth I’m concerndf about the appearance at the gum line and I have heard that zirconia abutments in titanium implants are not always best as they would break. Any suggestions you have would be greatly appreciated. Hi Dr. Amin. I’m 31… I lost almost all of my teeth a few years ago. I have 7 in the bottom front. I went the typical denture route, and I hate it. I started looking into implants and found out that titanium can cause “unspecific immune suppression” among other reactions. Zirconia looked great, but then I found out it is stabilized with yttrium which apparently can cause lung cancer and liver damage. I looked into articles about dentures since I’m wearing them (maybe they’re the best after all, I thought) and found out that the resin base can leach toxic stuff into the mouth too, not to mention the zinc in my adhesive, even used appropriately. I’m going to be needing teeth replacement for hopefully like 70 more years lol… so what, in your opinion, would be the safest most natural, non-leaching replacement? Thank you so much for your time. The information you are putting out there is unlike anything anyone else is doing. Unfortunately all prosthetic dental reconstruction materials whether it be dental implants, crowns, bridges, dentures are all foreign materials. Fortunately these foreign materials are biocompatible and have gone through extensive study and documentation. With all due respect, these types of things that you mention do not occur on a regular basis and possibly have no scientific backing as of yet. if these materials caused immune suppression and other systemic problems there is no way I would continue doing these procedures anymore. Everything has a downside. You are going to have to pick something or go without anything. I have placed dental implants in my own family members! Oh my goodness I wish I could have you as a dentist! I really want implants but I live in Findlay, Ohio and I’m not really comfortable with dentist around here. I have had so many bad experiences that I just left my teeth to go bad and I’m really regretting it now! I would love a full mouth of implants and if you were in my area, YOU would definitely be the one I would choose! I would definitely travel to you if I could afford it but that’s not gonna happen so just wanted to tell you, keep up that good, knowledgeable work because that is seen by so many people around the world, that it should make you feel very good! Your amazing! In this video I discussed the thinking on all zirconia implants used for the screw portion inside the bone. As of 2016 I am not a fan and I would not feel comfortable treating you with something that I do not believe in. Since 1992 I’ve had a bottom fixed bridge screwed into 5 implants. The teeth which I believe are acrylic were repaired twice, (minor repairs). after consulting with three dentists, I have three opinions . A) Change the bridge with a new bar and teeth, (acrylic). No need to change my upper denture, which is not an implant. B) Use the same bar and just replace the teeth, (acrylic). No need to change the upper denture. C) Change the bridge with a snap on denture and new upper denture. B being the least expensive. I’m confused and would appreciate your opinion. 1992 – 2016…..24 years is considered an excellent lifespan!!! I would suggest you remake everything including the top. Switch to a more modern CAD titanium bar that will not wear like the classic metal bars I used to use a decade ago. The acrylic weakens each year and it is a matter of time before your upper teeth begin to fracture off the denture. Do you do any charity implants, or know a place in Chicago that does? I was wondering if it was common practice to use zygomatic implants for the upper denture if there is significant bone loss? NO… it is not common but it is good treatment if you are one of these extremely rare cases that has the most severe type of bone loss possible. Most patients that have this kind of bone loss in the upper jaw can be successfully treated with bilateral maxillary sinus lift bone grafting and avoid the need for zygomatic dental implants. Have a 5-part bridge 2 and 6 are the abutments; 3-5 pontics. A recent xray detected decay on #2 this tooth had a root canal and post. 6 did not. The rest of my mouth is a lot of bridgework; some individual crowns. I’m almost 70. Bottom left, I had 2 implants back in 1987; lost them in 1995. Never replaced. So I basically have no teeth on the bottom far left. I’ve been to a periodinist to evaluate the 5-part bridge and he feels I need the 4 in one to the tune of $55,000 up. I thought this was overkill? I’ve seen your video on this and do realize after I looked at their sample bridge; I didn’t like that denture looking bridge!. Do understand that if one does this, the other more natural porcelain (?) type bridge would be better. Went to another dentist who feels that he would cut the bridge from 2-5; leave 6 as a separate crown. See if 2 could be saved, which he doubts. If can’t, then extraction. Did the cone scan and he wants to do a sinus lift for 3 implant and put the other implant as abutment at 5; thus a 3-part bridge. Forget about 6 completely if extracted. I think the sinus lift was for #3. May I ask your opinion on this. P.S. I never quite knew why my oldie but goodie bottom implants failed; I know they tried some cow bone grating when it showed they were receding and it didn’t work; had to extract them. Not sure what implants were like back then?? I know technology has changed a lot. If the teeth on your left side are good that I would only deal with the right rather than extract all teeth. I would definitely not do the all on 4 procedure especially in the upper jaw. That is extremely under engineered and if even one implant fails you’re going to lose all of your $55,000. Full upper jaw should be reconstructed with 6-10 implants minimum. The sinus lift bone graft is extremely predictable with a skilled implant specialist. It is one of the most common procedures I do for the last 16 years. Even though it does not seem simple, reconstruction of the missing teeth 2 through 5 would be likely your best bet. Expect this process to take about 9-12 months to complete since the upper jaw so soft and therefore making the bone slower to heal. I suggest you see a Diplomate of the American Board of Oral Implantology. These are high-level implant practitioners that could be of a number of different specialties. The commonality is that implant dentistry is the focal point. This people are usually very well trained experienced to handle difficult situations and have creative solutions. I just had two dental implants put in on the left upper side back. With a sinus bump on the one with some grafting. As previously the one close to front had been pulled and grafted. The very back tooth had a crown and root canal. The next two are the implants. Immediately after my implants were done my gums on the outside of my teeth imploded down causing this loose gum tissue to hang down. And I mean hugely hang. I have been in pain for two weeks now. The surgeon could only offer me he had not seen this happen before and doesn’t know why it did. He supposed to be the very very best in my area and been doing it a very very long time. I can’t eat with out it setting the throbbing and pain off. Yes I only chew on the opposite side and soft foods. I have not even drank anything acid or pop as it will cause me pain/throbbing. I ate Hydrocondone for a week every four hours not missing it once. Well I am now in Motrin 800 twice a day but doesn’t really help. My very back crowned tooth is extremely sore to touch. Could this have been damaged and now the root canal is going bad? I understand my gums can have laser done to cut the over blown gums off to put my caps on. However this surgeon want to cut and stitch any gums needing to be removed, after I go thru the waiting period. My gums feels like raw meat. Have you ever seen this happen before. Wish I could take a picture but really no way to get into my mouth to do one. Also would you suggest laser or cutting the extra gum tissue once I waiting the appropriate healing time before putting caps on? I had 3 other implants previously with no issues. Sorry, your comment got caught in our spam filter. How is the area doing now? What was the result.? My question doesn’t pertain to the article at hand, so I hope this is ok. But, I want to ask you about flying in an airplane after sinus lift and dental implant. 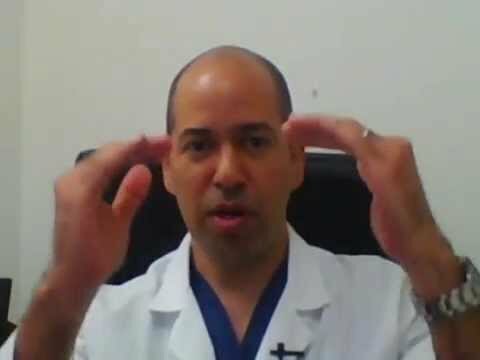 My surgeon didn’t give me any post-surgical instructions and I mistakenly flew in an airplane 4 days after surgery, then again 7 days after. I feel ok for now, but am concerned that I may have disrupted my bone graft or caused some other potential complication. Are these legit concerns? Thank you for your time. There is no issue with that. A concern would be if you had a tooth abscess that had not been treated. Pressure differences from the airplane cabin can cause pain in someone that has a bad tooth. Just a few questions. I need my entire upper arch reconstructed due to prior botched cosmetic dental proceedure, which caused major fractures resulting in the loss of four of my natural teeth. 99% of the experts I’ve spoken with feel my occlusion must have been off, thus causing so much destruction in such a short time. I’ve never had an issue with tooth breaks or fractures in 54 years and have extremely strong natural teeth, until a dentist convinced me to have a smile makeover of all upper crowns, which ended in disaster. This current reconstruction will now involve 2 molar implants, 1 premolar, and 1 front lateral implant. I’ve consulted with many dentists, and all recommend having the implants placed as the first step, then when the implants have healed, move forward with restoration of the other twelve teeth using porcelain crowns. My question is…. today I thought I had finally found the best Doctor in my area who I could trust to do this work correctly. However, she recommends I restore 10 front teeth first and once those are complete, move forward with the implants & restoration of the final six? In other words…. suggesting I do the implants last. Does this seem right? I’m very worried I will make the mistake of choosing the wrong dentist again, and I can’t possibly relive such severe emotional devastation, as I did the first time. What are your thoughts? I appreciate your time and any help you may be able to offer. Each situation should be approached in a case by case basis but typically the implants are placed first. You can consider doing the tendon front teeth with temporaries first and then put the real crowns on later. The surgical flaps made to place the implants may cause recession on the newly placed crowns on doing some of the beautiful work.